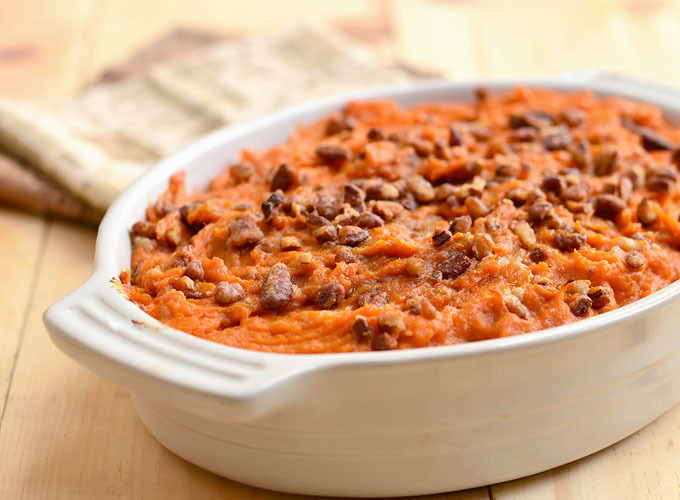 Sweet Potato Casserole with Rum and Candied Pecans is a must-have holiday side dish. 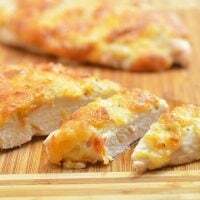 Fluffy and creamy with a spike of rum flavor and crunchy sweet pecan topping, it’s the perfect accompaniment to Thanksgiving turkey or Christmas ham. This sweet potato casserole with rum and candied pecans goes down in the annals of my kitchen adventures as a happy accident. Many years ago when Candy Crush was still the craze, I excitedly tossed a few pounds of sweet potatoes in the oven with the intention of turning them into twice-baked sweet potatoes but I got distracted along the way. 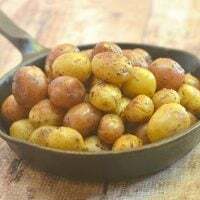 I logged in to Facebook while waiting for my favorite tubers to roast and by the time I remembered to check, they were too soft to hold shape for the twice baked recipe I had in mind. If you’ve ever played that silly game, you understand. Well, you can just imagine how frustrated I was with myself but as I am not one to waste, I decided to salvage the mushy mess and make this sweet potato casserole instead. May I say, all’s well that ends well? The casserole turned out so creamy and delicious G and I not only polished the whole eight servings between us in one meal that day, it has also become a side dish we make regularly year-round. 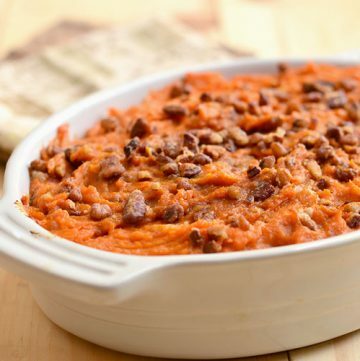 With fluffy sweet potatoes bursting with rum flavor and bits of sugary pecans, it absolutely screams comfort food. If you’re looking for the perfect accompaniment to your Thanksgiving turkey or Christmas ham, this sweet potato casserole with rum and candied pecans won’t disappoint. Serve alongside everyone’s favorite green beans and you’ll have a holiday feast to remember! Have a Happy Thanksgiving, my friends. May life give you many reasons to be thankful. First published November 16, 2013. I somehow managed to get to the age of 43 without making a sweet potato casserole. I was also cooking my first turkey this year, so I wanted to do it all. 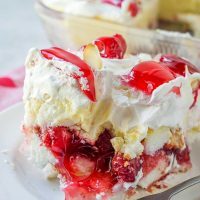 I happened across this recipe, and WOW! Absolutely fantastic. I have one family member who is conscious about sugar, so I only added the brown sugar to the rum sauce. The sweetness was just right. I made the candied pecans myself, too, and it was heavenly. 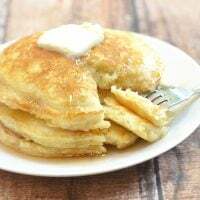 Something tells me I will be making this again in the future. Thank you so much, Jennifer, for the feedback. 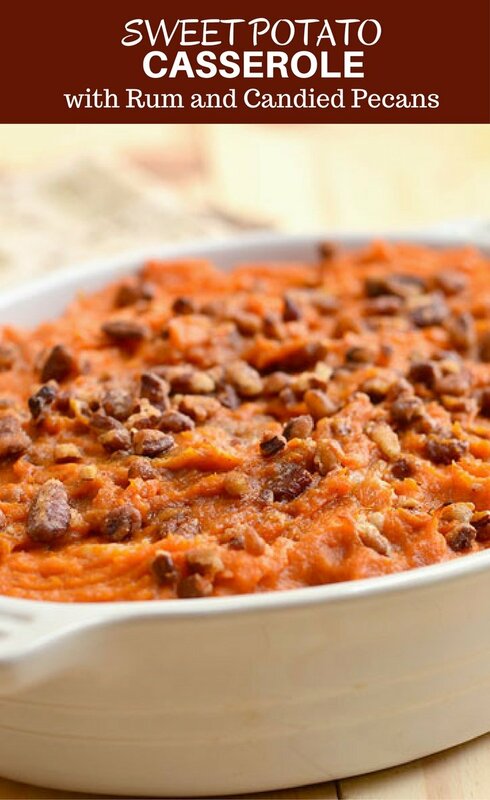 This sweet potato casserole is a holiday staple for us and I am glad you enjoyed it. Happy holidays! what rum did you use?